Another 15 wins & 76 nominations. I'm not really into your average ''Law and Order'' kind of shows, so I was a bit skeptic beforehand. But I was proved otherwise by a thoroughly gripping and scary introduction scene. We see a young lady running from a building, covered in blood. She accidentally stumbles upon two nearby policemen. It lured me into one of the most exciting new shows of last year. The concept is pretty simple: someone is murdered and it has something to do with a young lawyer working for a respected law-firm. We see flashbacks of how the FBI is trying to crack the case, giving us the opportunity to see the story that led to the horrific climax of the murder. What the hell has happened? How does a promising young lawyer end up in killing someone? Or didn't she? 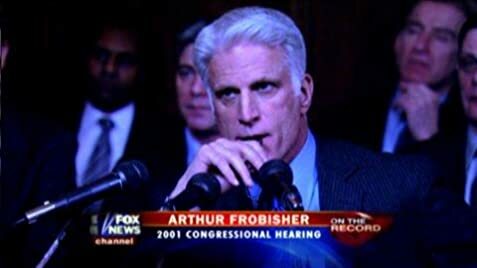 And what is the role of bitchy uber-advocate Patty Hewes and the businessman Frobisher? Every episode gives you a few clues on the mystery, while still keeping you in the dark of what did happen. It reminds me a bit of Lost, though Damages is more down-to-earth and believable. Glenn Close is playing the strong advocate with an excellent reputation with the verve she had in previous roles. Her protégé is Rose Byrne as a young, naive girl that falls in the hands of a devilish woman without scrupulous. For me the biggest surprise is actually Ted Danson, who plays a very realistic businessmen on the decline due to several law suits on his person. He's the kind of likable bad-guy that we seem to see more and more these days. The biggest pro for this show is that they keep all the characters human by giving them a soft side. Nobody is either extremely good or bad, they just are humans making stupid choices and having to pay the price for it. Even the at the surface indestructible Patty Hewes is not able to defend herself against her tyrannic son. Actors on the show have little time to prepare as they are given their scripts a few hours before filming. Glenn Close herself has described this style of filming as "challenging, but a great exercise."